We all know that music brings people together—just head to any Levitt venue during concert season and you’ll see people of all ages and backgrounds dancing, picnicking and enjoying free, live music under the stars. But what happens when music pushes people apart? That’s what Johnathan Chen, founder and CEO of nonprofit record label OneReasonRecordings, experienced when he moved from Texas to New York City in 2012. Although he saw homeless people nearly everywhere he went (there are over 60,000 in the city), he noticed that few passerby ever reached out to those most in need. Since many of these commuters were wearing headphones, Chen assumed music was making social issues easier to ignore. Inspired, Chen, then a freshman at NYU, founded OneReasonRecordings (ORR), with the mission to promote music as a tool to combat social problems. The first of its kind, ORR calls itself a social label, or “a music label dedicated to social justice and awareness.” It partners with various nonprofit organizations and independent artists to raise money for a different cause each year selling themed compilation albums and donating the proceeds. Over the past three years, it’s contributed to 15 organizations and raised nearly $30,000, and the money Chen has raised has helped provide a home for a family in a third world country, build a community well in Ethiopia and fund surgeries for two children born with cleft lips. Chen, who had previously only experienced the social impact of music through high school talent show fundraisers he helped organize, has seen firsthand how music can change lives. In addition to fundraising, ORR prides itself on providing a platform for independent artists who want to change the world through music. Many of its artists feel strongly about its campaign topics and submit music related to its themes. 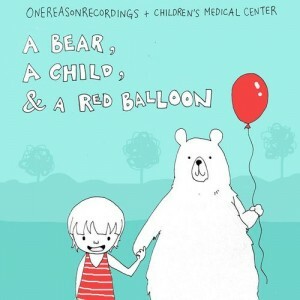 ORR’s most recent release, “A Bear, A Child, & A Red Balloon,” which benefitted Children’s Medical Center in Dallas, consisted entirely of songs inspired by medical miracles. Though it wasn’t an initial part of ORR’s mission, empowering artists has become a fundamental part of the organization. One memorable artist ORR collaborated with is Mara Measor, a singer-songwriter from Hong Kong whose experience with the organization helped inspire them both. Thanks to its tremendous success, ORR has since expanded to include other forms of art than music, with sub-division nonprofits dedicated to illustration, films, photography and writing. However, ORR continues to use music as a tool for social impact, with its 2015 campaign, a partnership with Stop Hunger Now, currently accepting donations and song submissions. Kudos to this incredible project for harnessing the power of music to change the world! This entry was posted in Beyond Levitt and tagged Johnathan Chen, Mara Measor, OneReasonRecordings on March 10, 2015 by Katie Huang.